One hundred and seventy-seven nations assembled in Vienna adopted this Declaration. Practically all the sovereign states then in the Asia–Pacific were present there. 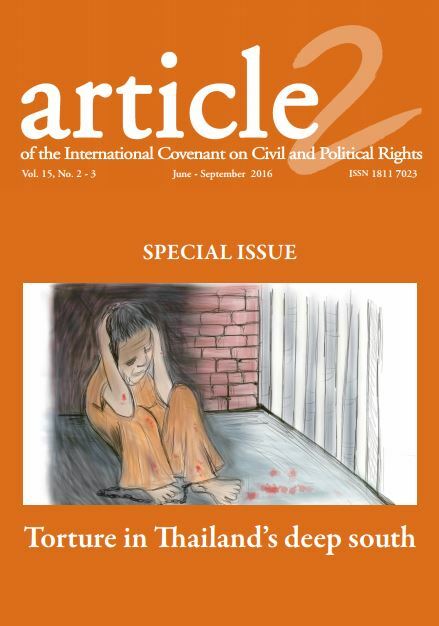 Following the adoption of the Basic Principles and the Vienna Declaration, the international community felt the need to monitor attacks on the independence of judges and lawyers. Hence in 1994 the Commission created the mandate on the Independence of Judges and Lawyers. The mandate is three-pronged. It has an investigatory, advisory and standard setting elements. 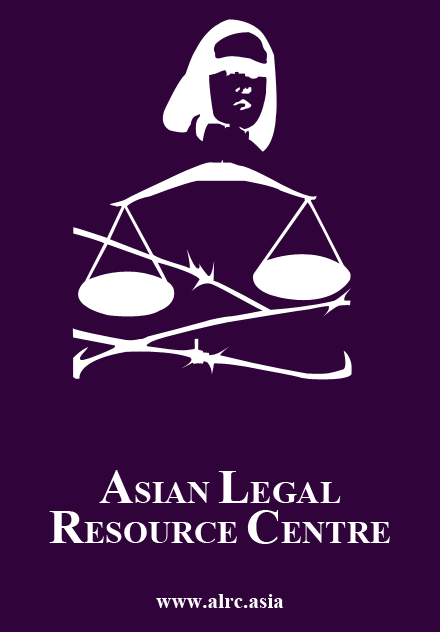 Unlike Europe, the Americas and Africa, where there are regional intergovernmental charters on human rights incorporating the principles of due process and providing for an independent judiciary to adjudicate, the Asia–Pacific has none. In Europe and the Americas there are also regional courts on human rights. However, the Asia–Pacific made history in 1995 when chief justices in the region gathered in Beijing for the Sixth Conference of Chief Justices of Asia and the Pacific. There they adopted the Beijing Statement of Principles of the Independence of the Judiciary in the LAWASIA region, commonly known now as the ‘Beijing Principles’. It was history because in no other region have the heads of the judiciaries come together and agreed to a common set of standards for the promotion and protection of their judicial institutions. Moreover, that such consensus was reached in such a diverse region, having different legal systems—leaving alone other differences—was a significant achievement. Such a document emerging from the hands of the eminent chief justices could carry greater weight than an intergovernmental document. In dealing with European states, the Council of Europe Standards are useful supplementary materials, particularly the 1998 European Charter on the Statute for Judges. The 1998 Latimer House Guidelines on Parliamentary Supremacy and Judicial Independence is a welcome set of guidelines governing relations between the executive, parliament and the judiciary in the promotion of good governance, the rule of law and human rights in the Commonwealth. Yet technically the guidelines have not come into force, as they have not been approved by the Commonwealth heads of governments. iv) Parameters of judicial accountability. Very often principles of judicial independence are addressed to judges of the higher judiciary, namely in the high courts and the appellate courts. These principles are not often addressed at judicial officers like magistrates, session judges or district judges of the lower judiciary, though a very large proportion of cases—particularly criminal cases—are tried and disposed of before their courts. The Basic Principles do not make any distinction between these two categories. Though the word frequently used in the Basic Principles is ‘judge’, yet it should be read in the context of other terms like ‘independence of the judiciary’ and ‘judicial officer’. Nor do the Beijing Principles make such a distinction. National constitutions provide for an independent judiciary. However, the fact remains that in many countries, particularly in the Commonwealth, judicial officers in the lower judiciary are not perceived to be independent. Some provisions to protect the independence of the higher judiciary do not apply to these judicial officers. These decisions of the apex courts on this very vexed issue are most welcome. I hope they will be disseminated widely for similar courts in other countries to follow, or for governments to take necessary legislative measures to insulate these judicial officers with independence, so that in their adjudicative process they are perceived by the consumers of justice to be independent and impartial. Of late the position of chief justices or presidents of apex courts has come under criticism in some countries. Complaints have been largely regarding abuse of power and interference with adjudicative processes of junior judges, particularly those who await recommendations from the chief justice for promotions and so on. Chief justices and presidents are generally given the power to empanel sittings of the appellate courts. In such cases there have been allegations of ‘fixing’ in selective appeals. The Basic Principles and the regional standards do not provide standards for chief justices or presidents, though principle 6 of the Beijing Principles regarding interference in the decision-making process must necessarily apply to chief justices. With regard to judicial appointments and promotions, national constitutions that do not provide an independent mechanism for selections and recommendations leave it to the chief justice to select and recommend. There have been allegations of favoritism, cronyism and nepotism. Thus the Supreme Court, in its interpretation of the expression “consultation with the Chief Justice of India”, read into the Constitution not only that the Chief Justice’s opinion must be a collective opinion formed after taking the views of his senior colleagues but also that when that opinion conflicts with that of the executive the opinion of the judiciary “symbolised by the view of the Chief Justice of India” should have primacy. On this issue of judicial appointments and promotions, considerable executive involvement in the appointment procedure has resulted in the judiciary not being independent or perceived to be independent. Provisions for consultation or advice have also resulted in doubts and suspicions about whether such consultations are genuine or mere shams. Vesting this power in just one person like the chief justice too is fraught with difficulties. However eminent the chief justice may be, there is always the likelihood of abuse. Hence, the trend now in modern constitutions is to entrust the power of recommendations for judicial appointments to an independent council or commission. Such a council or commission is composed of representatives of institutions closely connected with the administration of justice. The council or commission then recommends suitable men and women for appointment by the government. Such a commission is now being proposed for England & Wales. A debate is very much alive there. A good example is the Philippines. In that republic, pursuant to the 1986 Constitution of the Philippines a Judicial and Bar Council for judicial appointments was created. This Council is composed of the Chief Justice, Minister for Justice, a representative of the bar association, a professor of law, a retired member of the Supreme Court and a representative of the private sector. This council advertises for judicial appointments, processes all applications, conducts interviews and selects suitable applicants based on proven competence, integrity, probity and independence, which are the criteria provided in the constitution. Whenever there is a vacancy in the Supreme Court or High Court, the Council submits to three names to the Executive President. The President selects one among the three on the list. Similarly, the 1996 Constitution of South Africa provides for a Judicial Services Commission to recommend to the Executive President suitable appointees for judicial appointments. 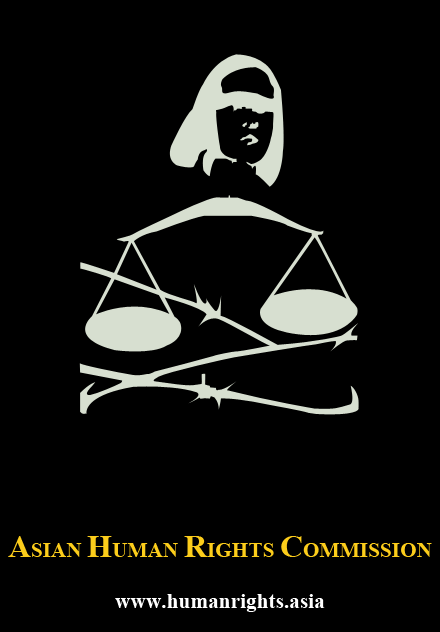 In respect of every decision affecting the selection, recruitment, appointment, career progress or termination of office of a judge, the Statute envisages the intervention of an authority independent of the Executive and Legislative powers within which at least one half of those who sit are judges elected by their peers following methods guaranteeing the widest representative of the judiciary (emphasis added). Whatever form the selection and recommendatory mechanism may take, it is essential that judicial appointments are perceived to be made independently and transparently, based on merit and without improper considerations, political or otherwise. In 2000–01 differences between the then Chief Justice and the executive Council of the Law Society in Fiji were of concern to me. I expressed my views to the Honourable Chief Justice and the Law Society on the incident. I told the Chief Justice that administratively barring some lawyers in the Law Society from appearing before him and another judge may be seen as a violation of principle 19 of the Basic Principles. Principle 19 provides that no court or administrative authority shall refuse to recognise the right of a lawyer to appear before it for his or her clients unless the lawyer has been disqualified in accordance with national law. Similarly, I expressed to the government of Sri Lanka my concerns over the manner in which certain processes were handled by the present Chief Justice in light of proceedings against him before the Supreme Court, and subsequently when an impeachment petition was admitted in Parliament. These events not only called into question the impartiality and integrity of the judiciary but politicised the institution. Hence I was not very surprised when I learnt that Justice Mark Fernando has sought early retirement from the Supreme Court. In view of the politics within the judiciary—and in particular the conduct of the Chief Justice—this early retirement is, I suppose, inevitable. Justice Mark Fernando is an independent, able and courageous judge. Obviously he does not wish to continue under present circumstances. He will be a loss to the Supreme Court of Sri Lanka. In Malaysia there were serious allegations that independent judges who did not toe the line of a previous Chief Justice were not promoted or were transferred out. A few junior judges who wanted to leapfrog senior judges for promotion would tailor their judgments to suit the needs of the Chief Justice. An allegation a couple of years ago by a High Court judge that the former Chief Justice attempted to interfere with his adjudicative process in an election petition is still being investigated. Integrity of the Malaysian judiciary has been a concern since 1988. Very recently, leapfrog promotions of three judges involved in the Anwar Ibrahim trials and appeals were perceived as rewards for having delivered what the Executive wanted. The Bar Council publicly protested and called for an extraordinary general meeting to adopt resolutions calling for disclosure of the criteria applied for the promotions and the setting up of an independent judicial services commission to select and recommend judicial appointments, promotions and transfers. Under the Constitution of Malaysia, the Chief Justice makes recommendations for judicial appointments and promotions to the Prime Minister, who in turn advises the King. The King must accept the advice. The extraordinary general meeting of the Bar Council had to be aborted, as the required quorum of 2222 could not be mustered. As the office of the Chief Justice is the embodiment and reflection of the independence, impartiality and integrity of the judiciary in any democracy it is therefore imperative that only those who can command that respect be appointed. Judges are conferred and clothed with independence in their adjudicative process so that they can dispense justice without fear or favour, in accordance with the facts, evidence and law presented to them. For this purpose many national constitutions provide for conditions with regard to the appointments, promotions, discipline, security of tenure and immunity to insulate judges. These conditions are prerequisites for protection of their independence. They are found in the international and regional standards. The guarantee of judicial independence is for the benefit of the judged, not the judges. There have been cases where judge are said to have abused this independence, sometimes as a shield against investigations of judicial misconduct, including investigations of corruption. Judges know that they cannot easily be removed, cannot be sued for their conduct or words uttered in the adjudicative process, and that their salaries cannot be reduced. The common complaint is regarding the kind of terse and curt language some judges use against parties, witnesses, counsel, and even against others not in court. In some countries such conduct has triggered a public furore through the media, drawing the executive, supported by the public, to seek greater accountability from the judiciary. It’s long overdue. With the increase in judicial activism, there has been a corresponding increase in the need for judicial accountability. There is a perception that the people are doubting whether some of us in the higher judiciary satisfy the required standards of conduct. Since we are the ones laying down the rules of behaviour for everyone else, we have to show that the standard of our behaviour is at least as high as the highest by which we judge the others. We have to earn that moral authority and justify the faith the people have placed in us. One way of doing this is by codifying judicial ethics and adhering to them (emphasis added).However, judicial accountability is not the same as the accountability of the executive or the legislature, or any other public institution. This is because the independence and impartiality expected of the judicial organ is different from other agencies. Judges are accountable to the extent of deciding the cases before them expeditiously, in public (unless for special reasons), fairly, promptly, and with reasons for their decisions. Their judgments are also subject to scrutiny by the appellate courts. No doubt legal scholars and the public—including the media—may comment on the judgment. If judges misconduct themselves, they are subject to discipline by the mechanisms provided under the law. Beyond these parameters, they should not be accountable for their judgments to any others. Judicial accountability stretched too far can seriously harm judicial independence. It must be stressed that the constitutional role of judges is to decide on disputes before them fairly and to deliver their judgments in accordance with the law and the evidence presented before them. It is not their role to make disparaging remarks about parties and witnesses appearing before them or to send signals to society at large in intimidating and threatening terms, thereby undermining other basic freedoms like the freedom of expression. Another source of concern is the manner in which contempt of court powers are used to instill fear. When judges resort to such conduct, they lose their judicial decorum and eventually their guarantees of judicial independence. They open the door to public criticism of their conduct and bring disrepute to their institution that can lead to a loss of confidence in the system of justice in general. Respect for the judiciary cannot be extracted by invoking coercive powers, except in extreme cases. The judiciary must earn respect by its performance and conduct. No doubt judges too have freedom of expression. The Basic Principles require judges to exercise their freedom of expression “in such a manner as to preserve the dignity of their office and the impartiality and independence of the judiciary”. Similarly, the Beijing Principles state that judges are entitled to freedom of expression “to the extent consistent with their duties as members of the judiciary”. If follows that judges do not have the right to say anything at all, either in the adjudicating process or even in their extrajudicial capacities. Particularly in the adjudicating process they must be circumspect with their words, to maintain their objectivity and impartiality. Even Nazis did not eliminate millions of Jews in a painful or bloody manner; they died in the gas chamber without suffering. In December 2001 the New South Wales Court of Appeal in Australia delivered a judgment criticizing the conduct of a District Court Judge as having fallen “far too short of acceptable judicial behaviour” that it might lead to an apprehension of bias. [vii] The appeal judges added that her conduct was disturbing and “comments totally unnecessary”, and that the judge “made little to maintain the proper decorum of either the court or herself”. They described one of her statements as “disgraceful and totally unjudicial”. The author of an opinion column in an Australian daily reporting on this case asked, “How on earth do people like the judge concerned get appointed to courts in this country?” It is not known whether any disciplinary action was taken against that judge. In terms of our constitution, the judiciary is independent from both the legislative and the executive. The principle of separation of powers and the independence is strongly entrenched in our constitution. The judiciary as an organ of State had to be accountable in its actions, but this did not mean that judges should appear before a parliamentary committee to explain their judgments. These are just a few recent instances where judges have been taken to task by disciplinary tribunals, appellate courts and the public when they abuse their judicial power and undermine public confidence in the justice system. 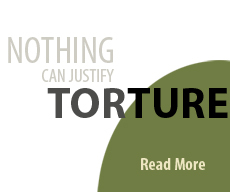 The excessive use of coercive powers like contempt of court has been a concern in some countries. It was a serious problem in Malaysia a few years ago, when lawyers were committed and sentenced. The manner in which this power was invoked summarily by the Supreme Court of Sri Lanka in the Michael Fernando case earlier this year brought the Court into severe criticism from various quarters, including myself. It obviously had a chilling effect on the public’s access to justice and freedom of expression. It even intimidated the legal profession. I am glad that the government has responded to the concerns expressed and has set up a committee to consider the need for legislation on the parameters of contempt of court. That an unrepresented lay litigant attempting to seek justice in the highest court of the land, however misconceived his grievance may have been, could be convicted and sent to prison for one year is beyond belief. The worst form of injustice in any civilized society is injustice perpetrated through the judicial process. It becomes aggravated when the court is the highest in the land, as there will be no further appeals and moreover it remains a dangerous precedent for lower courts. Another objectionable feature in that case was that the Chief Justice was a respondent to the petition. However ill conceived that move by the petitioner, as a matter of principle and in accordance with section 49 (3) of the Sri Lanka Judicature Act, the Chief Justice should have disqualified himself. It was his presence to which the petitioner seems to have objected. He was quite right. This is the first case, so far as I know, where this court has been called on to consider an allegation of contempt against itself. It is a jurisdiction which undoubtedly belongs to us, but which we will most sparingly exercise: more particularly as we ourselves have an interest in the matter. Let me say at once that we will never use this jurisdiction as a means to uphold our own dignity. That must rest on surer foundations. Nor will we use it to suppress those who speak against us. We do not fear criticism, nor do we resent it. For there is something far more important at stake. It is no less than freedom of speech itself. It is the right of every man, in Parliament or out of it, in the Press or over the broadcast, to make fair comment, even outspoken comment, on matters of public interest. Those who comment can deal faithfully with all that is done in a court of justice. They can say that we are mistaken, and our decisions erroneous, whether they are subject to appeal or not. All we would ask is that those who criticize us will remember that, from the nature of our office we cannot reply to their criticisms. We cannot enter into public controversy. Still less into political controversy. We must rely on our conduct itself to be it own vindication. Exposed as we are to the winds of criticism, nothing which is said by this person or that, nothing which is written by this pen or that, will deter us from doing what we believe is right; nor, I would add, from saying what the occasion requires, provided that it is pertinent to the matter in hand. Silence is not an option when things are ill done. I know of another case in the sixties when a lay litigant having lost her case threw her books at the three judges of the Court of Appeal of England & Wales. The books flew past the head of the presiding Judge, Lord Denning. All Lord Denning did was direct the usher to lead her out of the Court. She exclaimed, “I am surprised that your Lordships are so calm under fire”. The conduct of Lord Denning in those circumstances demonstrated highest judicial integrity and compassion. While the executive arm is often apprehensive of judicial independence, the judicial arm is often apprehensive of judicial accountability. I have in my reports observed that judicial accountability is not inimical to judicial independence. Though judicial accountability is not the same as accountability of the executive or legislative branches of the government, yet judicial accountability without impinging on judicial independence will enhance respect for judicial integrity. The Basic Principles do not provide for judicial accountability save for a provision on procedure for judicial discipline. Over the last three years, in association with the Judicial Group on Strengthening Judicial Integrity, and in collaboration with the Consultative Council of European Judges of the Council of Europe and the American Bar Association and Central and European Law Initiative, we deliberated in the drafting of the Bangalore Principles of Judicial Conduct. The drafting was finalized and adopted in November last year at The Hague. At the last session of the UN Commission on Human Rights in April this year I presented these Principles for its consideration. There was unanimous support from member states. In a resolution the Commission noted these principles and called upon member states, relevant UN organs, intergovernmental organizations and non-governmental organisations to take them into consideration. In my report I observed that these principles would go some way—when adopted and applied in member states—to supporting the integrity of judicial systems and could be used to complement the Basic Principles to secure greater accountability. The Bangalore Principles are now available in the six official languages of the United Nations. Judicial accountability is today the catch phrase in many countries. Judges can no longer oppose calls for greater accountability on grounds that it will impinge on their independence. Judicial independence and judicial accountability must be sufficiently balanced so as to strengthen judicial integrity for effective judicial impartiality. The establishment of a formal judicial complaint mechanism is therefore not inconsistent with judicial independence under international and regional standards. Principles 23–28 of the Beijing Principles imply some guidelines for such a mechanism. In this regard, judges should take the initiative before it is forced upon them by politicians. In South Africa, recently the judges themselves drafted legislation to provide for a judicial complaint commission. There was, however, a dispute between the executive and the judiciary as to the composition of the commission. The judges wanted the composition entirely of sitting judges. The executive felt that it should not be left entirely with the judges as that would negate transparency. I recommended to the government that the composition should be left entirely to the judges, and if necessary retired judges could be included. The judges who took the initiative to draft the legislation for this mechanism should be entrusted to self-regulate it for an initial period of at least seven years. Thereafter the effectiveness of the mechanism could be reviewed. I heard very recently that the government has conceded and the commission will be composed entirely of judges. The need for a separate complaint mechanism for judges is the subject of debate, I understand, in many countries, including the United Kingdom, New Zealand, Australia, Ireland and India. In some jurisdictions informal internal mechanisms have been set up. But these have been found to be unsatisfactory. Another dimension of judicial accountability is judicial education. Often judges feel that they are appointed for their learning and therefore do not require further education while holding judicial office. This is a fallacy. Continued legal education for judges should be provided not only to keep them abreast of developments in the law and practice both domestically and internationally but also for them to receive what is sometimes described as “social context education” or “sensitivity training”. This is to enable them to be aware and better respond to the many social, cultural, economic and other differences that exist in society, particularly in pluralistic societies. Such education should include international human rights, humanitarian and refugee law. Another vexed question is whether such programmes should be compulsory. I have in one of my reports recommended compulsory attendance. More than anything, attendance at such programmes could improve judicial competency. However, the programmes should be structured and managed by the judiciary. I have attempted here to highlight the prevailing tension between judicial independence and judicial accountability. When the international and regional standards on judicial independence were formulated the issue of judicial accountability was not apparent. Emphasis was all on securing judicial independence, to entrench the requisite protective insulation. No doubt it was implied in these standards that those appointed to the high office of the judiciary would be men and women of the requisite qualities, and therefore their performance and conduct would be beyond question. Judges must also remember that the insulation provided to protect their independence and impartiality has been founded on public policy. Public policy can change with times. The discerning public of today, using fast improving information technology, has high expectations of the judiciary. If judges, by their performance and conduct, do not meet those expectations the insulation will slowly but surely be reduced, again via public policy. Almost 84% (83.98%) of all the respondents did not think that the Judicial System of Sri Lanka was always fair and impartial. In fact, one out of every five thought that it was never fair and impartial. Similarly 87% of the Court Users did not believe that the Judicial System was always fair and impartial. The Remand prisoners constituted the group among Court Users with the least amount of trust in the impartiality and fairness of the Judicial system of the country with 49% asserting that, it was never so. Among the respondents as a whole, the prevalent view (83.93%) was that the Judicial System of Sri Lanka was corruptible, with a mere 16.06% asserting that it is NEVER corruptible. These figures must be of serious concern to the nation. However, among the stakeholders, the judges formed the single largest group that believed the system was always fair and impartial. The independence of the judiciary is founded on public confidence—in essence, public trust. Without that confidence and trust, the system cannot command the respect and acceptance that are essential to its effective operations. It is therefore important that a court or tribunal should be perceived to be independent and impartial, and the test should include that perception. As said by a former Chief Justice of Canada, this is the lifeblood of constitutionalism in democratic societies. Written law if not supported by the community and constitutional practice, can be changed to meet political needs, or can be flagrantly disregarded. On the other hand, no executive or legislature can interfere with judicial independence contrary to popular opinion can survive. Text of a speech presented to the International Centre for Ethnic Studies—Sri Lanka on 17 October 2003. Reproduced with thanks to the Centre. [i] Canada: Reference re. Remuneration of Judges of the Provincial Court of Prince Edward Island and Others (1997) Vol. 150 DLR (4th) Series, p. 577; Scotland: Starrs and Chalmers vs Procurator Fiscal (PF Linlithgow) (1999) SCCR 1052; (2000) SLT 42; Bangladesh: Govt. of Bangladesh & Others vs Md. Masdan Hossain & Others (Supreme Court of Bangladesh) 52 DLR (AD) 82; South Africa: Van Rooyen & Others vs The State and Others (CCT 21/01). In the Bangladesh case, the government applied for review of the judgement by Civil Appeal No. 189 of 2000, but the application was dismissed by the Supreme Court on 18 June 2001. [ii] Supreme Court Advocates on Record Association and Another v State of India, JJ 1993 4 SC441. [iii] Special Reference No. 1 of 1998, JT 1998 5SC 304. [iv] Al –Jehad Trust vs Federation of Pakistan PLD (1996) SC 324. [v] ‘The Bienvanne Inquiry’, Canadian Judicial Council Annual Report 1996-97, p. 30. [vi] Moreau-Berube v New Brunswick (Judicial Council). [vii] Damjanovic v. Sharpe Hume & Co (2002) NSWCA 407. [viii] Ambard vs AG for Trinidad, Tobago (1936) 1 704 PC. [ix] RV Metropolitan Police Commission Exparte Blackburn (No. 2) (1968) 2All ER 319 at 320. This entry was posted in Volume 02 Number 05, and tagged Volume 02 Number 05. Bookmark the permalink. Policing India in the new millenium, or old?